Are you looking for more information about Madame Chance online casino? Great! Then you are in the right spot! In this Madame Chance Review we will review their website, the available games, active promotions, the customer support and many more! And if you get convinced about the quality of this online casino, you will be ..
Summary rating from 33 user's marks. You can set own marks for this article - just click on stars above and press "Accept". First, lets start with some basic information about this casino brand. Madame Chance is a new online casino which opened their doors in the year 2016. The brand Madame Chance is owned by Game Tech Group N.V. located in Curaçao. Madame Chance Operates under Master License No. 1668/JAZ, granted by the Government of Curacao. In the casino you will find great games by NetEnt, Cryptologic (WagerLogic), Betsoft, Nyx Interactive and NextGen Gaming. Player from Israel, Singapore, Turkey and the USA are restricted. For more information, please keep reading this Madame Chance Review! Are you curious about the games at Madame Chance? Well, as stated before, the casino offers great games by respected iGaming brands. In the lobby you will find many games divided in multiple categories. When joining this casino you can play in the regular casino or the live casino. All games can be played instant or in the download casino. Besides that most games can be played on any device. So Madame Chance is also available on mobile, tablet or desktop. 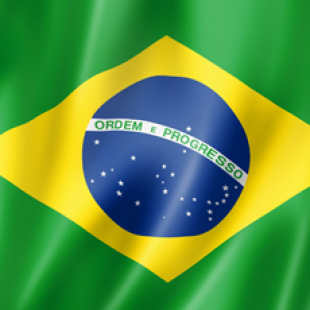 In the regular casino customers can play many different games by for example NetEnt and Betsoft. Because of this fact you can expect many great 5-19, 20, 25-30 and 50+ reels video slots. Besides that the casino also offers scratch card games, table games, video poker, classic slots and more. Like some classic table games? You can play Roulette, Blackjack, Baccarat and more. Like action games? Then you should try out Keno! All games can be played for fun or for real money. Because of this fact we advise you to first try out some games for free and start playing for real money when you know how the game works. Want some real live action fun? Then head over to the Live Casino! Like the thrill of the real deal? Great! Then you should definitely try out the Madame Chance Live Casino. In the Live Casino you can take a seat on the table with other players and real live dealers. Join now and play live Roulette, Blackjack or Baccarat against real dealers. Place a bet that suits your balance and make a profit against the house! 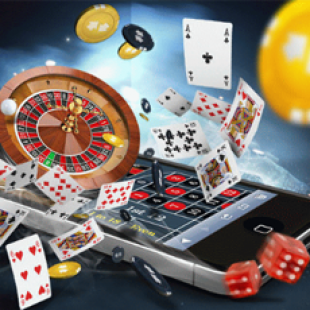 The Live Casino can also be accessed on mobile or tablet. So you can play anywhere you are, whenever you want! Madame Chance always offers some great bonuses and promotions for new and current players! Want to start playing at this great online casino or need some more information about their special VIP program? Check out all active promotions and bonuses below. Want to try out this casino for the first time? Then you can be rewarded with the stunning Madame Chance welcome bonus. 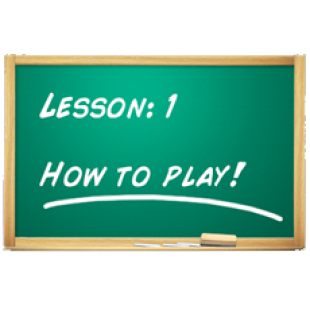 First you will need to sign up for a personal casino account. Then you will need to go to the banking section and make a first deposit using one of the many deposit methods.  All deposits between €20 and €200 will be matched up with 400% free casino money. For example, when you deposit €100 at Madame Chance you will be able to collect €400 free casino money. So after collecting your welcome bonus you can play with €500 play on all the available games at the casino. To collect your 400% bonus use bonus code: MADAME1. 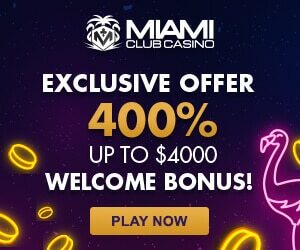 Sign up here and collect your first 400% deposit bonus at Madame Chance! Good to know; Wagering the Madame Chance Welcome Bonus is pretty hard. Besides that, you cannot pay out the bonus money. Which is not very great. We only recommend using this bonus if you like to play with high stakes without risking too much money. You should not use this bonus if you would like to pay out winnings fast. The one time welcome bonus isn’t all at Madame Chance. Why? You will be able to receive a second deposit bonus! How? After making a second deposit the casino will reward you with a 150% money bonus! For example, when making a deposit of €100, the house will add €150 bonus money to your account. In this case you will be able to play with 250 on your favourite casino games. To collect your 150% second deposit bonus use bonus code: MADAME2. 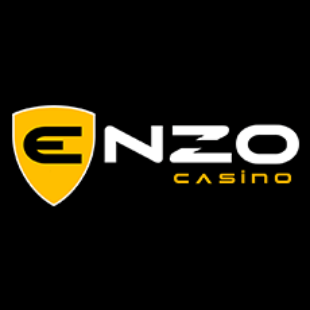 Sign up now and receive you first bonuses in this great casino! Like playing your favourite games in the Madame Chance Casino? Then join the VIP Program. As a VIP member you will receive an improved competition point’s rate from Madame Chance. Besides that you will be rewarded with a weekly bonus on every Monday. Enjoy all your extras and be rewarded with extra playing money and free spins. At Madame Chance VIP players will also receive their own personal VIP Manager. In this way the casino looks after their favourite and most valuable players! Want to know more? Then visit the website! In this Madame Chance Review we also check out the design and usability of the website. The design looks pretty nice and has a real American or Western feel. On the homepage customers will find the most popular games and in the top navigation people can navigate to a different section. Finding important information is very easy and customers can always ask their questions to the support team through the available live chat. In the left menu people can filter the games so finding your favourite game goes very easy. Tip: Can’t find a game? Then use the search bar. Signing up for an account goes very easy and downloading the software can be done in minutes (we prefer playing instant). And when you’re on mobile of tablet, Madame Chance offers a pretty decent mobile website. Through this special designed website it’s pretty easy to play or find information about this casino (it doesn’t look really great but it works well). So it doesn’t matter where you are. You can always play at Madame Chance! Madame Chance thinks safety and security is one of the top priorities of the casino. Because of this the websites utilizes the latest 128-bit Secure Socket Layer (SSL) encryption technology to ensure that sensitive data is transferred securely over the Internet to our secure servers, which are protected by the latest firewall technology. Want to make a first deposit? Then you can use one of the many deposit methods (Maestro, Neteller, Mastercard, VISA, Skrill and more). Want to withdrawal any winnings? Pick your favourite method and Madame Chance will pay you as soon as possible. When using a E-wallet you can expect your winning within 24 hours. Want to know more about banking? Then head over to the website. Do you have a question or need some information? Then click ''Support'' in the top navigation of the website. In the help center you will find an extensive F.A.Q. and contact details of the customer support team. When you click on the tab contact us you can also fill in a contact form. When you want to contact the support team you can call or send an email. Besides this you can also click on the live chat button in the top right. Through the live chat you can directly contact one of the many support agents. The support team is available 24/7 which is a great pro of this online casino. Below you will find the most important contact information. When writing this Madame Chance Review we have looked up a great amount of information and we played at the casino for a few bucks. We definitely liked the huge welcome bonus which makes it easy to try a lot of games with a real small deposit. The amount of games is pretty nice but when using the welcome bonus the amount is limited. 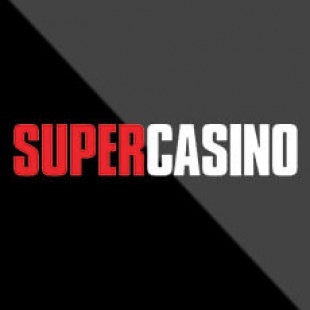 The customer support is available 24/7 which is a great feature of this casino. Besides that banking, the design and mobile friendliness are all covered by this online casino. All with all we think Madame Chance is a very complete casino with a great welcome bonus. Like trying some slots by NetEnt and Betsoft? Then we would recommend this casino! Want to submit your own experience? Great! Leave a comment below with you findings about this casino! Do you like to bet on your smartphone or tablet? That’s no problem at Madame Chance! At this online casino you can play everywhere you are, any time you want. Just navigate to the website and start playing your favourite game on mobile! Besides the regular casino you can also play in the live casino on mobile! Sign up now and receive a stunning 400% welcome bonus up to €800,00! This casino offers a wide variety of casino games by leading software providers such as NetEnt, Betsoft, NextGen and NYX Interactive. Players can choose between their favourite slots, classic fruit slots, table games, video poker and more. Receive a 400% Welcome Bonus! When writing this Madame Chance Review we used information from all across the internet. Besides that we made a small deposit and played some of the great slots. Although we made this review with lots of care, some information could be outdated or untrue. If you find any false information or outdated facts, please contact us through our contact form! You can’t withdrawal bonus money. Madame Chance works with software from NetEnt , 1X2Gaming , BetSoft , GameScale , Nektan , NextGen Gaming , Novomatic and Thunderkick. People from the following countries are restricted from playing at this online casino; Israel, Singapore, the USA and Turkey. This casino is available in many languages. When playing at Madame Chance you can choose English, Finnish, German, Italian, Norwegian, Spanish, Swedish, French or Russian as the main language of the website. Hi Jeremy, can you please be more specific. What is it that makes Madame Chance Casino a fraud? Maybe we can solve things with the casino. i Pay i win and i receiv this mail ITS A FRAUD !!!! Nous vous informons que par rapport aux Conditions générales de MadameChance concernant le Jeu abusif nous ne pouvons donner suite à votre demande de retrait et annulons vos gains. Votre dernier dépôt a été reversé sur votre carte de crédit/débit. Si vous avez des questions, veuillez répondre à ce courrier e-mail.